Hello again! Today I wanted to share with you my experience with subscription boxes. As a student there is something really exciting about sending and receiving mail, whether it be letters to and from home or even bank statements, I love going down to my court reception to fetch the mail. However, I realize that sending mail to and from Canada can get really expensive. My cousin Gabrielle has been talking to me for a while now about a subscription box she has signed up to called Glossybox and I thought that, in the name of science, I would conduct a bit of research and sign up to a competing subscription box named Birchbox (you know… for science). I hesitated for a while before subscribing because I am not much of a product junky. 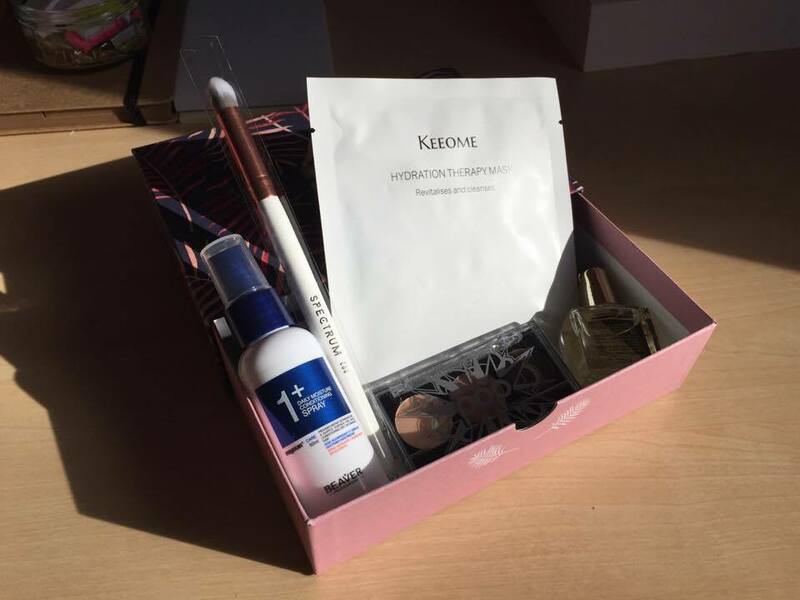 Gabrielle loves her boxes because she uses a lot of the things she is sent like the makeup and face products however I am quite minimalist when it comes to beauty products so I didn’t want to waste any money. However, when I discovered that Unidays offered a discount on your first box I thought that it would be a fun experiment to compare the boxes. As a UK student, there is a website you can sign up to which is called Unidays. This website gives you access to all sorts of student discounts which include different subscription boxes. So a few days after Gabrielle received her February box, I received mine. I have to admit I was so excited to head down to central distribution to collect my post (certain packages come to your court reception and others at the main campus collection). Both boxes have some great things to offer. If I had to describe the two, Gabrielle’s Glossybox was more makeup focused while my Birchbox was more hair and skincare focused which is perfect for each of us. You get to create a beauty profile when you subscribe describing what your skin is like and what you would like to receive – so the boxes were well tailored for both of us. 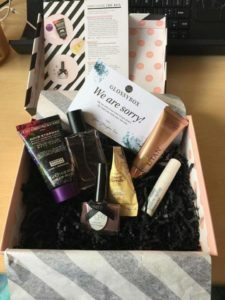 The Glossybox was a sturdy box with a lid which is really fun for storage. The Birchbox was a drawer box which I am now using to keep my post-its on my desk. Both are really beautiful in terms of colors and design but I think the Glossy Box is sturdier. Gabrielle’s first February box had unfortunately been ruined when one of the nail polishes exploded but the company sent her a replacement box right away with an extra gift which I thought was very good of the company. Both boxes are 10 pounds monthly and both offer 5 products varying from full to sample size. I was very happy with the products I received and can honestly say I will use everything they sent me which is really great and I know Gabrielle has also been using the products she’s received. I have to admit however that given that I do not go through products very quickly I think a box a month will prove to be too much. What is great is that you can cancel at any time without penalty so I think after the March box I will probably cancel for now and wait until I go through the products I’ve received. I hope this has proved to be useful if you were on the fence about subscribing to such a box or if you were looking for a little something to brighten your mailbox.